Emptying a posit box, a postman noticed a letter that was addressed to God. The postman seeing that the letter was not sealed, and there being no postage on it, opened and read it. It was from a man down on his luck and was asking God for £250 to get his family through the next week. Being a Mason, the postman took the letter to Lodge that evening, read it, and asked for donations for the unfortunate fellow. 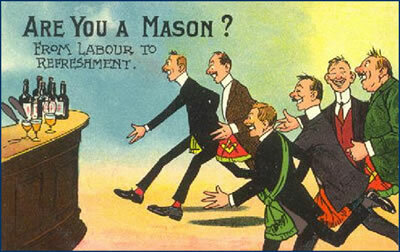 The Masons, wanting to help, took up a collection, and he received two £125 from the brethren. The Secretary placed the cash in a Lodge envelope, and gave it to the postman to deliver the following day, which he did. Several days later the postman found another unsealed letter in the postbox addressed to God. Again he opened and read the letter, which thanked God for the money, but instructed him to send it through the Knights of Templar next time as the Masons kept half . A Doctor and Plumber are in the same Lodge. One Sunday Morning the Doctor wakes up to find his toilet blocked. So he rings the Plumber. But I don′t work Sundays said the plumber! Can′t it wait until tomorrow?. The Doctor said. I don′t like working Sundays either but if you were in trouble, and felt unwell, Brother I would come round to see you. OK says the Plumber and goes round to the Doctors house Goes upstairs looks at the toilet, and takes two aspirins from his pocket and throws them down the bowl. There he says If it′s no better tomorrow give me a ring and I will call round. Pat & Bill had been Lodge Brothers for many years. They had promised each other that the first to go to the Grand Lodge above would return to tell the other whether there really were Lodges in Heaven and what they were like. By and by, it came to pass that Bill went first. One day shortly after, Pat was working in his garden when he heard a whispered voice, " Pssst Pat!" He looked around but saw nothing. A few moments later he heard, now quite clearly " Pat! Its me, Bill!" "Bill" Pat exclaimed, " are you in Heaven?" "Indeed I am" said Bill. Pat paused for a while to get over the shock and then said "Well, Bill, are there Lodges up there in Heaven?" "There certainly are, Pat. There are Lodges all over and they are quite magnificent, equal or better to Great Queen Street. 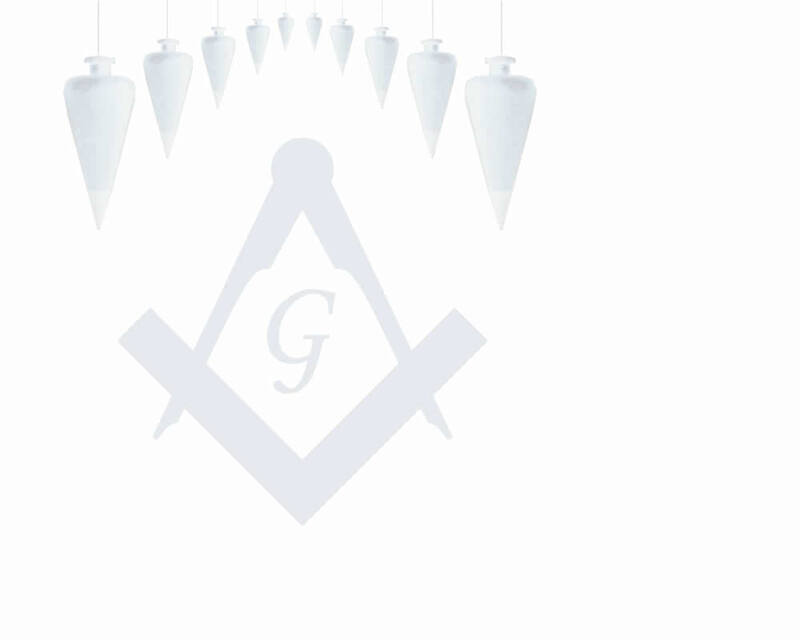 The meetings are well attended, the ritual is word perfect, the festive board fantastic and the spirit of Masonic Fellowship is all pervasive." "My goodness, Bill," said Pat, "It certainly sounds very impressive but for all that you seem rather sad. Tell me old friend, what is the matter." "Well, Pat, you are right. I have some good news and some bad." "OK, so what's the good news?" "The good news is that we are doing a 3rd this coming Wednesday"
"Great" said Pat. "What′s the bad news then?"